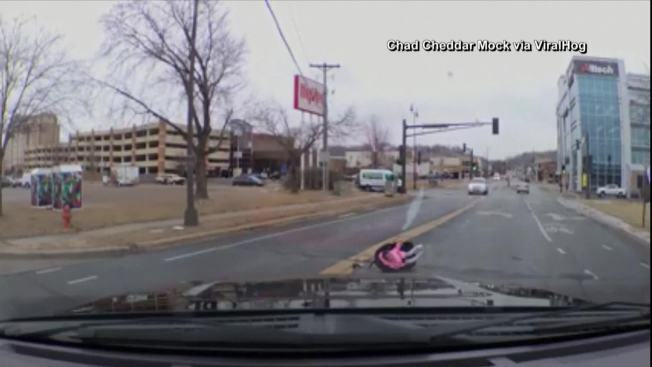 A driver in a southern Minnesota city was shocked when he saw a young child in a car seat tumble out of the back of a moving vehicle, NBC News reported. “If it didn’t happen in front of me I’d never have believed it,” Chad Cheddar Mock wrote on Facebook, sharing a video of the incident that happened just before noon on Monday in the city of Mankato. The child was not injured.